Former Toronto Mayor Barbara Hall (94-97) was appointed Chief Commissioner of the Ontario Human Rights Commission on November 28th/2005. This evil star-chamber represents the worst of Evolved Marxism and many subscribers wonder how and when this virulent strain of totalitarianism entered the body politic. What we know as ‘Political Correctness’ dates back to the Soviet Union of the 1920’s. Like today, Politically Correct Totalitarianism assured that all aspects of life were consistent with ideological orthodoxy. 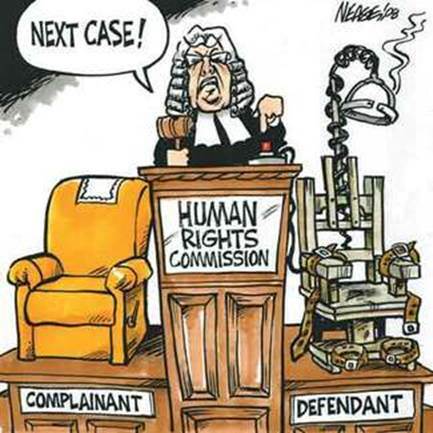 Being a direct descendant of Marxist/Communist terror, brain-washing and criminalization of thought, Canada’s Human Rights Commissions continue the tradition unabated. Totalitarianism does not require a dictator like “Uncle Joe” Stalin. Communism in the Soviet Union was much more than state terror, censorship, re-education camps and gulags. It was a state-of-mind in which the very idea of personal opinion had been eradicated. Once a critical mass of citizens has been inculcated with Political Correctness, the society in question is functionally totalitarian. “Aunt Barb” Hall now has the “sins” of racism, sexism and homophobia as additional tools for control. The charge of “institutional racism” is no different than declaring an entire economic class as an enemy of the people. The new “isms”, including feminism, are designed to tear traditional family values to shreds, and in turn, to rip society apart. Like the Soviet Communists use of class warfare, the results are the same. Better than that, if a crime can be collectivized, an entire group can be guilty until proven guilty, and a victim group can be compensated without being victimized. In Barbara Hall’s Canada, ancient liberties and the assumption of innocence mean absolutely nothing, especially when it comes to RACISM. An accusation of racism has much the same effect as an accusation of witchcraft in 17th century Salem, Massachusetts. Ironically, women like Barbara Hall have become what they claim to fear. Whether it is practiced under the banner of Communism, Political Correctness, Marxism, or any other name, its true name is EVIL. Only the names have changed…. from Joseph Stalin to Barbara Hall. SENIORS APPRECIATION DAY – BEACHES BLUES FEST DELIVERS!!! Your Ward News ( http://www.yourwardnews.ca ), in conjunction with the Beaches Blues Fest and the Danforth Music Festival ( http://www.danforthmusicfestival.com ) have officially pronounced Seniors Appreciation Day. No spring chicken himself, publisher/promoter Leroy St. Germaine kicked-off this important holiday by dispatching musicians to perform for our valuable senior citizens. The musical talent represents blues, folk, country and rock. That’s right…SENIORS WANNA ROCK!!! We are incredibly excited about bringing our live music network to elderly residences, assisted living facilities, and even to private homes upon special request. It has often been said that “children are our future”. That obviously being the case, the children that awarded us our present future deserve our very special thanks. This is much more than another contrived ‘Hallmark card’ holiday or fund-raiser for an emergency phone number calendar. This is a celebration of the accumulated knowledge and wisdom of our advanced-age citizens. Only the positive aspects of later life will be highlighted. One elderly fellow at the Norway Avenue residence said, “I don’t want to hear any of that I’VE FALLEN AND I CAN’T GET UP crap ever again.” Wish granted, sir. Recent studies have revealed that neurons in the brain can re-connect by means of memorable music. Long-forgotten memories blocked by Alzheimer’s et al flood back in to the conscious realm of the brain, allowing the listener to re-experience memories from his or her youth. The universality of music is undeniable and elevates mankind to a higher plane. Like all programs initiated by Mr. St. Germaine NO TAX DOLLARS or GOVERNMENT GRANTS are involved. Toronto’s conniving councillors like Mary-Margaret McMahon ( http://www.marymargaretmcmahon.com ), Paula Fletcher and Janet Davis prefer sponsoring events with tax-payer’s money. That is so your tax dollars can go “missing”, much like the provincial Liberal Party’s ‘Disappearing Ducats’ case. They represent the exact opposite of James Sears ( http://www.jamessearsward32.com ), our next Ward 32 (Beaches-East York) councillor, who won’t accept a penny of his councillor’s yearly salary of $105,397. Chancellor Sears is about the PEOPLE, not about the PROFITS. Our senior citizens must also be thanked for their attempts at maintaining the traditional family values that allowed healthy Canadian communities to thrive. Those values are presently under fire and our advanced population is the last line of defence where common decency is threatened. Where’s the parade celebrating those values? The great response the musicians receive at these events is all the payment they need. To book a musical show at your facility or relative’s home please contact Leroy St. Germaine at 416-693-6325. Your Ward News will also provide transportation to and from your closest voting location on October 27th. Many books and movies have been written and produced about the classic 1939 movie The Wizard of Oz featuring Judy Garland as Dorothy. One film starred the late John Ritter (Three’s Company, 8 Simple Rules) as author L. Frank Baum who wrote the book that the beloved movie was based on. Another film, Under the Rainbow, was about the little people who played the Munchkins. Neither of these offerings, nor any other book or film, has ever revealed the true motivation of the author. Nobody has ever unlocked the hidden meaning concealed in the story…UNTIL NOW. The Wizard of Oz was published in 1900 during a tornado of political and social upheaval. Author L. Frank Baum was an avid supporter of populist presidential candidate William Jennings Bryan. The populist Bryan ran twice for U.S. President against William McKinley, in 1896 and 1900. Bryan lost to McKinley both times. Author L. Frank Baum lamented the failure of the populist movement and the collapse of the fragile alliance between the urban industrialists (the Tin Man) and the rural farm workers (the Scarecrow). The twice-failed populist presidential candidate William Jennings Bryan was embodied in the Cowardly Lion…ALL ROAR, NO TEETH. Dorothy was ‘everyman’ and ‘everywoman’ who saw the truth before the others. 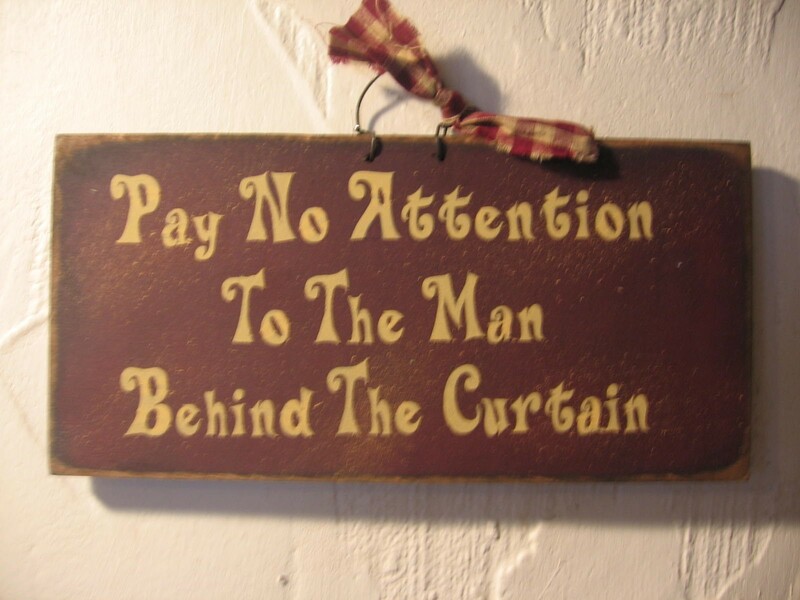 You may recall an emphatic Dorothy pointing toward an opening in the curtain. She was trying in vain to alert her fellow travellers that the big scary wizard was merely a little scared man, not much more than ‘bells and whistles’. The “all-mighty” Wizard represents the powers-that-be, who often rule by fear alone. The dramatic conclusion of Dorothy’s journey lends itself to an enduring political truth: You can fool SOME of the people SOME of the time, but you can’t fool ALL of the people ALL of the time.